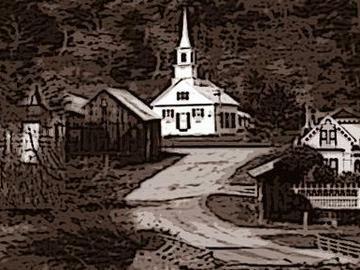 Our Town is Thornton Wilder's Pulitzer Prize-winning play about the townsfolk of Grover's Corners, New Hampshire. The story follows the courtship and marriage of George and Emily, offering a portrait of life in a small New England town. Grover's Corners serves as a microcosm; it is the world condensed into a small community with characters reflecting the hopes and dreams, the failures and successes, of people everywhere.